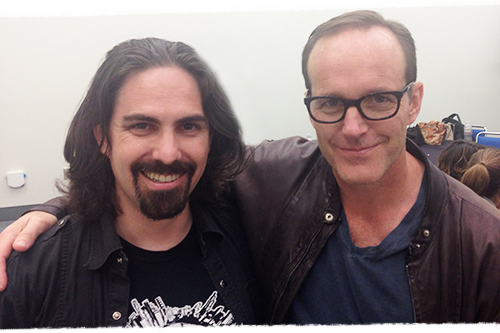 The first season of Marvel’s Agents of S.H.I.E.L.D. has finally come to a conclusion, wrapping up what has been the most ambitious season of television I have ever been involved in. 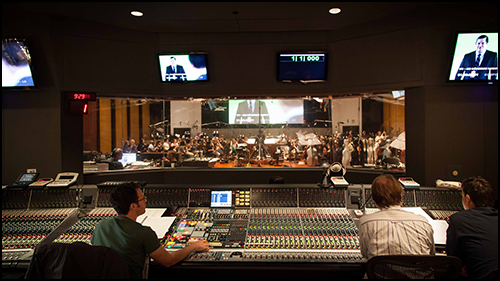 The sheer scope of this project was daunting: to score 22 episodes in 22 unique orchestral sessions, with orchestras ranging from 55 to 95 players, at the best sound stages in Los Angeles, with each episode requiring minimally 30 minutes of score. While the experience was immensely challenging, it allowed me to strengthen my friendships with all the amazing musicians I get to work with and learn even more about orchestral composition. I know I promised not to get bogged down in words, but a few are owed to some very special people without whom this score could never have existed. First of all, my tireless music team worked countless hours to bring this score to life. Engineer and co-producer Steve Kaplan mixed and recorded the first student film score I ever wrote during my freshman year at USC and he’s still the foundation of all my musical production. Orchestrators Ed Trybek and Henri Wilkinson helped expand my ideas and create that epic orchestral sound, and probably wrote out about 3 miles worth of woodwind rips in the process! My music would never reach your ears without the contributions from the rest of the Sparks and Shadows scoring team: Michael Beach, Jonathan Ortega, Jessica Rae Huber, Melissa Axel, David Matics, Andy Harris, Laurence Schwarz, Ryan Sanchez, Jonathan Beard, Gavin Keese, Dana Kyle, Omer Ben-Zvi, Sam Ewing and all our interns, especially Jason Akers, Cheryl Lee and Alex Ruger. One of those most fun parts of the job is getting to collaborate with Kevin Porter, to create these video blogs, as well as our frequent B-Camera operator CJ Woodring. Each and every musician contributed a unique voice to the score, and they are far too numerous to name individually here, but a special thanks is in order to Peter Rotter and his friendly team for assembling these incredible orchestras every week. Thanks are due to the friendly and skillful crews at Warner Bros. Scoring Stage, The Bridge Recording and Sony Scoring Stage. I also want to thank everyone at First Artist Management, especially Rich Jacobellis, Vasi Vangelos, Rob Messinger and Randy Gerston, as well as my publicist Beth Krakower, and my manager for the Sparks & Shadows record label, Joe Augustine. I also wanted to thank all the producers, the fantastic cast and crew, and everyone at Marvel, Disney and ABC for their support. 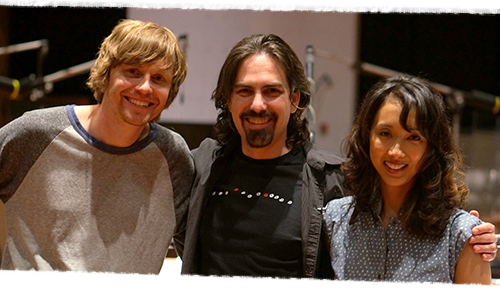 Joss Whedon, Jed Whedon, Maurissa Tancharoen, Jeph Loeb and Jeff Bell were the creative guides that helped me shape the score, and find my way into the Marvel Universe. Chris Cheramie, Robert Parigi, Lodge Worster, all the editors and everyone else at post-production were a joy to work with. Dawn Soler, Glen Kannon and everyone at ABC Music made this experience enjoyable. All of these people created an environment where we all knew from the beginning that a fully orchestral score would be needed to tell this cinematic story, and I am honored that I got to be the lucky composer writing the tunes. I also want to thank all the friends and family in my life for being patient with me disappearing for days, weeks or months at a time, especially my beautiful wife Raya Yarbrough, who basically only got to see me when I brought her into the studio to sing the “creepy alien vocals” theme. Last but certainly not least, I want to thank all of you, the fans, for watching and listening. The most exciting part of working in this industry is getting to write music that makes an impact on an audience, especially one that’s really listening. The past few weeks I’ve seen a recurring question bombard me on Twitter and Facebook: “Will there be a soundtrack album?” As of this moment, I have no answer to give you, but I appreciate the enthusiasm and I’m confident that there will be more information soon. Let’s assume for a moment that a soundtrack will eventually happen. If that occurs, I will need your help to figure out what to put on it. I have never written so many hours of score for a single season of television in my life, and I’m a bit overwhelmed at the prospect of narrowing it all down. The video blog here showcases some of my favorite tracks from throughout the season, but barely scratches the surface of what’s there. What cues caught your ear? What tracks would you guys want on an album? Leave a comment below and let me know! Well, that’s it for Season 1. I look forward to diving back into the Marvel Universe in a few months when the show returns for Season 2.